So far I have watched three women’s hockey games (Go Switzerland! ), and all of the figure skating. Every last minute of the team event, and the pairs shorts. That’s 80 programs. As a result, I’ve started hearing an Australian woman and British man narrate my life. Yes, Belinda, the pressure HAS affected my work….AND of course the fact that my eyes are so glued to the competition. 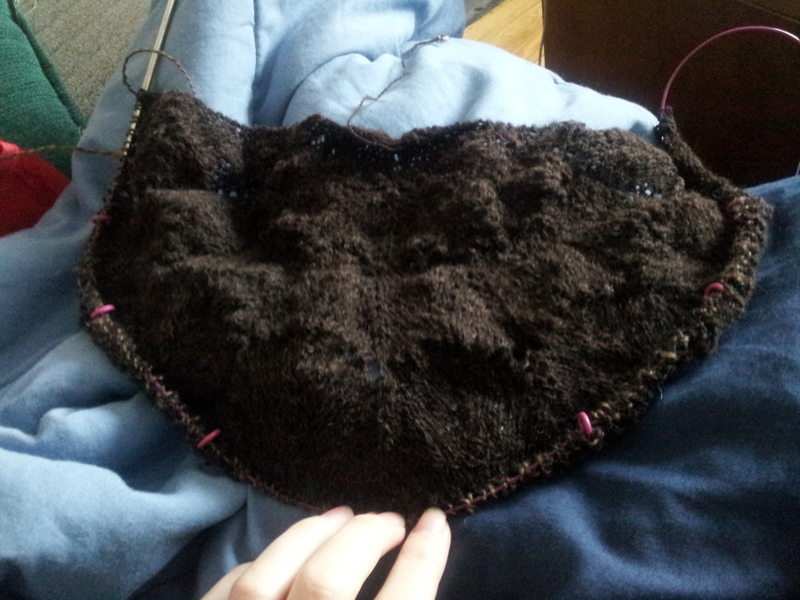 I’ve had to get very adept at fixing dropped stitches…..3 so far. 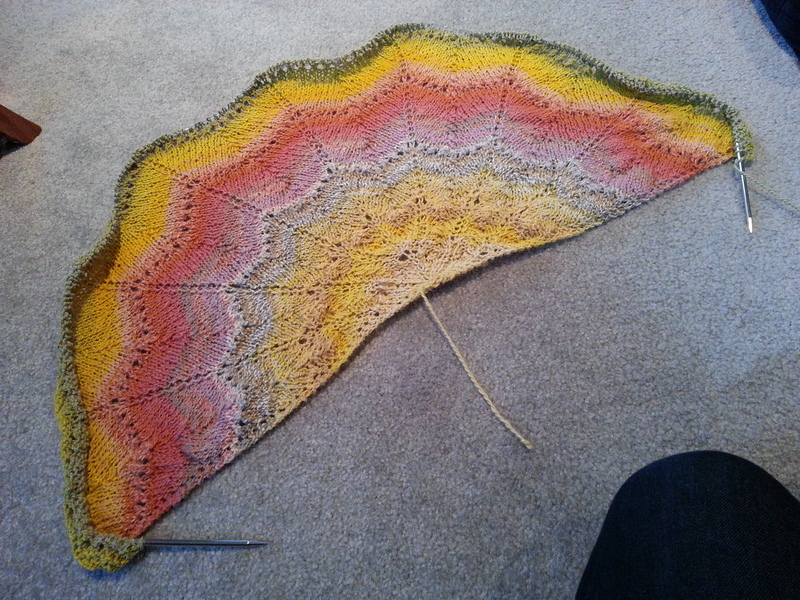 I am really counting on the Eucalan to relax some of those overly-tight stitches. 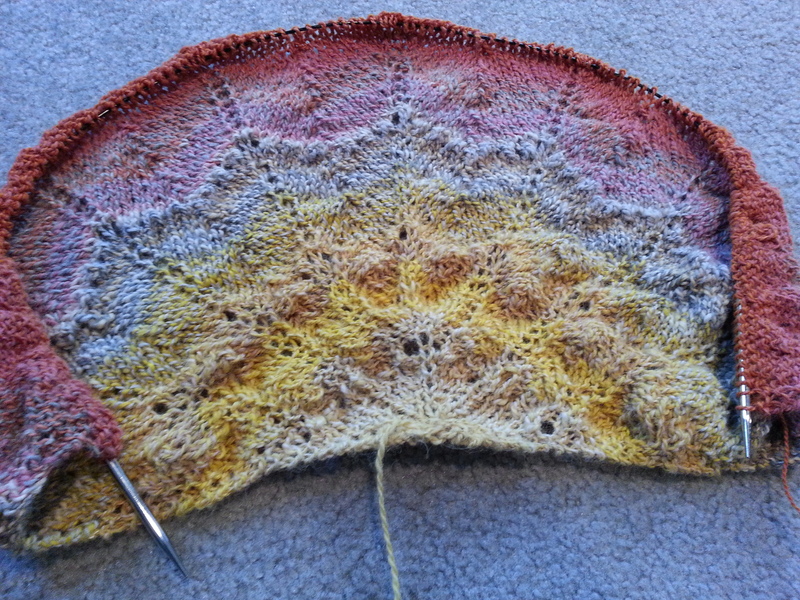 Also, the reason I am not using stitch markers is because every one I own is already in use on one of my other 13 wip’s! To compensate, I count. 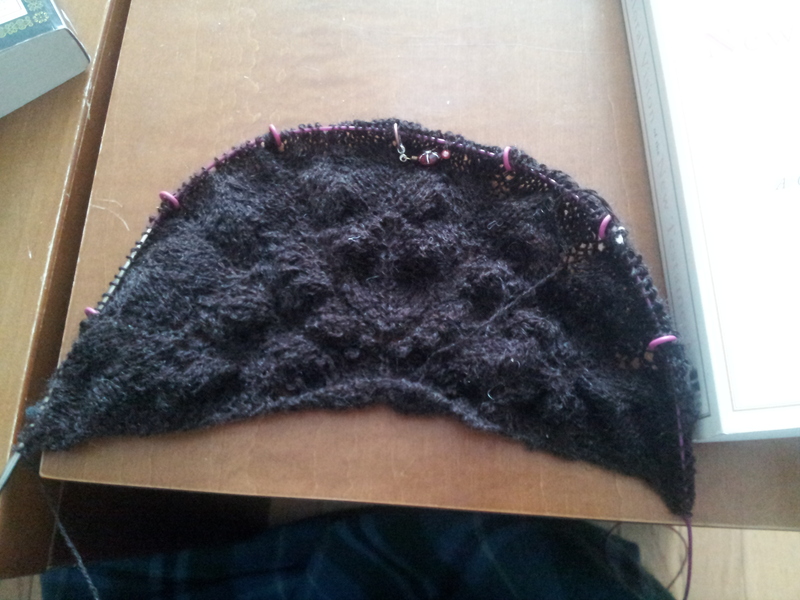 Between each section, I count the stitches because sometimes it’s hard to spot that purl stitch nestled in the middle.